The post of deputy governor had been vacant after SS Mundra retired in July 2017. 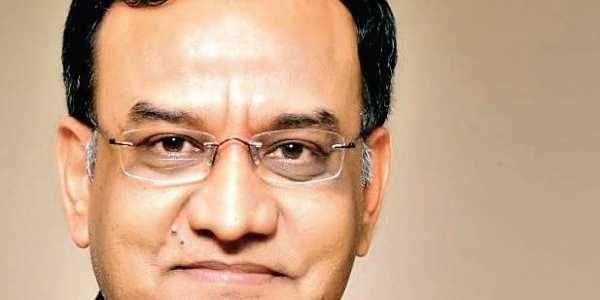 MUMBAI: Ending its nearly year-long search, the Central government on Monday appointed M K Jain as the 44th Deputy Governor of the Reserve Bank of India. The position had been vacant since August 2017. Jain, who has just completed his first-year as CEO & MD of IDBI Bank Ltd and has nearly 30 years experience in the banking industry, will be in charge of RBI’s banking supervisory department. Rajeev Kumar, Secretary, Financial Services Department, made the announcement via a tweet on Monday. A career banker, Jain previously served as the CEO of Indian Bank prior to his stint with IDBI, where he hit the ground running to turnaround the ailing public sector lender. Besides a balance sheet clean-up exercise, Jain had put in place a broad-based strategy to divest several non-core assets to raise capital, and during FY18, the efforts helped the bank release about `4,500 crores. Following the announcement, IDBI’s shares fell as much as 6.3 per cent to `59.70 on BSE, a two-week low. A post-graduate in commerce with an MBA and FRM degree, Jain has also served on several banking sector committees. He was secretary and coordinator to Basant Seth Committee on Review and Revamp of Internal and Concurrent Audit System in state-run banks, and was a member on the government-constituted committees on PIL on NPAs for submission to Supreme Court and redesigning Annual Performance Appraisal Reports of PSB officers. He also has been involved in risk management efforts at an industry level and has been a member of IBA’s committee on risk management. The post of deputy governor has been vacant after SS Mundra retired in July 2017. It may be noted that Jain’s selection was an outcome of the second round of interviews. Unlike in the past, where the government appointed career public sector bankers to the post, this time around, it widened the ambit to others including those with experience in banking and financial market operations, an understanding of supervision and compliance in the financial sector, an appreciation, as a practitioner, of the role of banks in large corporate lending in an environment with strong bond markets. Others who were considered for the role included Charan Singh, Executive Director, UCO Bank; SBI’s B Sriram and P K Gupta, and Yaduvendra Mathur, Additional Secretary, Niti Aayog, among others.